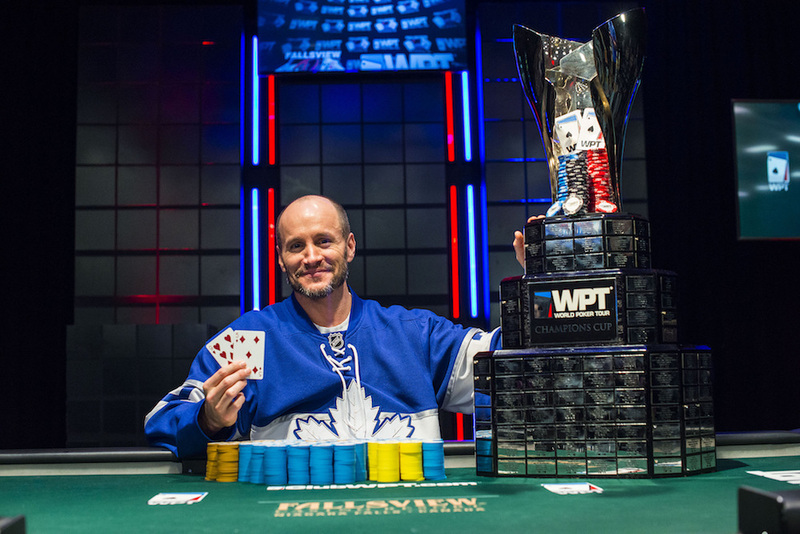 Mike Leah won the WPT Falls View Poker Classic $1,100 side event in 2014, 2016, and in 2017. In 2018, though, he failed to cash and set himself the goal of winning the WPT Main Event instead, announcing it on twitter before the tournament started. He did exactly that, coming out on top of a field of 517 players to take home the lion’s share of the CAD2,337,803 prize pool. He did, however, need some help as the eventual runner-up Ryan Yu was very cordial with his chips in the last couple of hands to gift Leah the win. Joe Ferrier, who started out the final table with a respectable 58 big blinds, was the first to go. He left his chips with Leah, getting it in with ace-jack. Leah showed ace-queen suited, and the four-bet pot brought nothing but blanks on the board. Next to go to the rail was Daniel Wagner. Down to just a couple of big blinds, he pushed with ace-deuce. Chadha called with king-queen suited and flopped top pair to eliminate Wagner and make the tournament 4-handed. It took a while before Carlos Chadha found his Waterloo in fourth place. He got his chips in with pocket fives against the ace-jack of overwhelming chip leader Yu. The ace on the river did Chadha in; Yu extended his lead even further. Six hands later, Tim Rutherford joined him on the rail. In a blind on blind battle, Rutherford pushed his small stack in with nine-six suited. Yu had an easy call in the big blind with ace-queen suited. Once again, nothing but blanks appeared on the table and Rutherford finished in third. The heads-up started with Ryan Yu on a 90-big blind stack, and 39 big blinds for Mike Leah. While the reports don’t reflect it, a deal must have been made as it was all over soon with Yu raise-folding a lot. In the first hand of the match, Yu raised to 4 million, but he folded to Leah’s shove for 4,695,000 total. The next hand, Leah limped, and Yu made it 5 million. Leah shoved for 8,715,000 and Yu folded. “When you’re beat, you’re beat!” Yu jokingly said the next hand when he raised to 1.7 million but folded to the shove, according to the WPT Blog. 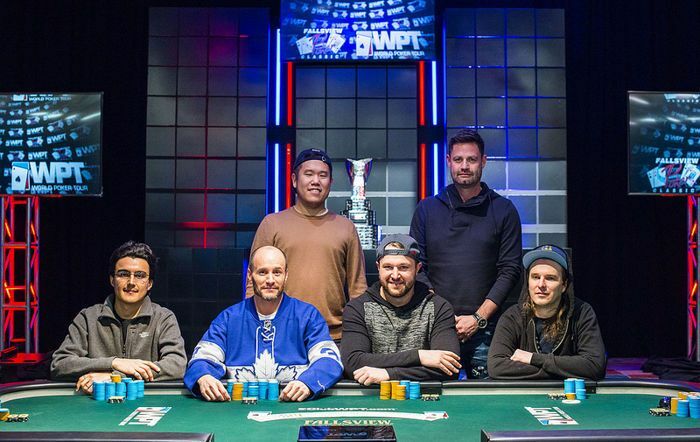 With just 40,000 left, a third of a big blind, Yu got lucky a couple of times to chop and double, but in hand 101 of the 6-handed final table, it was all over. Yu got it in with jack-eight, and Leah called with nine-five. The five on the river ended it, and Mike Leah took down the event, the trophy, and (officially) CAD451,821 and a $15,000 seat into the season-ending WPT Tournament of Champions. Yu, according to the books, went home with C$301,217.